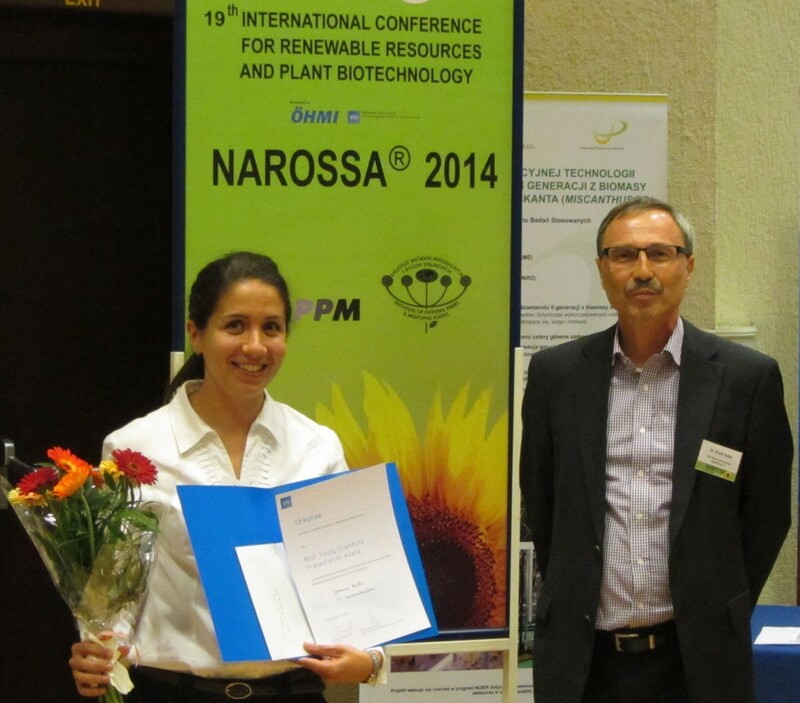 For the 19th time the “NAROSSA – Conference for Renewable Resources and Plant Biotechnology” was aligned by PPM e.V. in cooperation with the Institute of Natural Fibres and Medicinal Plants (Institut für Naturfasern und Heilpflanzen), Poznan (Poland). Key Topics for the lectures were the biorefinery, the use of plant proteins, the importance of fiber crops as well as the decontamination of post-mining landscapes. Over 100 participants from 15 countries – in addition to Germany and Poland, among others from China, Greece, Great Britain, India, Lithuania, Norway and Portugal – presented their latest research results. “Best presentation by a young researcher”. Jasmine Roth of the University of Kaiserslautern was honored from the VDI district association of Magdeburg for their out-outstanding work on lignocellulosic biorefinery. The young scientist was also happy about the cash benefit associated with this award. On the website of NAROSSA you will soon find photos from the conference and the conference documents. The event was sponsored by the ÖHMI AG.